The change from Telstra ADSL to NBN VDSL drops the POTS line that gave telephone access independent of premises power. Telephony is now provided by an ATA integrated into the VDSL modem, and dependent on mains power. NBN makes no definitive statements about battery backup to the node, or endurance of any battery backup. Nevertheless it appears from pics people have taken of the node cabinets that the bottom layer is batteries and it is likely that they have endurance of more than 10 hours. 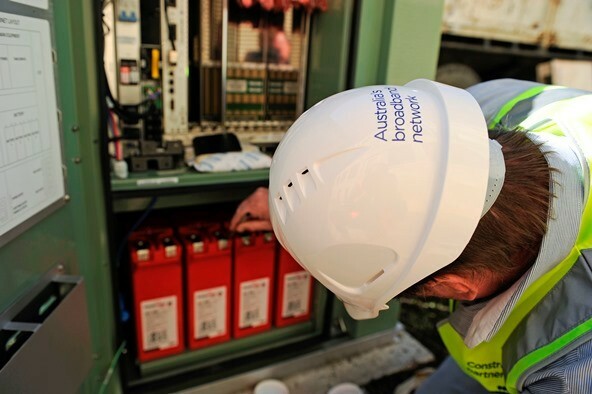 Above, a pic of an NBN FTTN cabinet from NBN’s website, and showing batteries in the bottom layer. NBN is not customer facing, and it seems they will provide are reluctant to provide all manner of information useful to end users, perhaps guided by lawyers who do not want to create any obligation or liability for the company… the way of modern telecommunications. 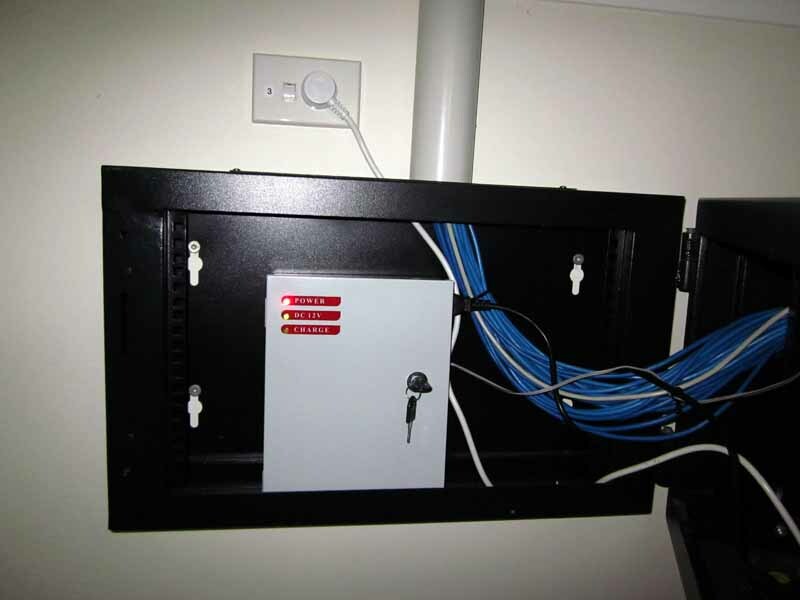 In that context, it would seem worth the risk to provide battery backup to the VDSL modem to provide broadband access to battery devices such a tablets, laptops and smartphones, and access for a POTS handset plugged into the ATA port. 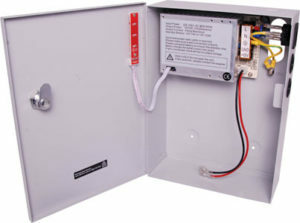 The supplied modem includes a 12V DC power pack rated at 2A. Above, measurement of the current drawn averages around 0.5A with all features running (though it may draw more current during phone ringing). It would seem that a common 7Ah gel cell could directly power the modem and would provide endurance of more than 10h. So for a cost of under $200 for a battery backed power supply using a common 7Ah gel cell, we get some protection against premises mains failure and possibly area mains failure depending on the node endurance. 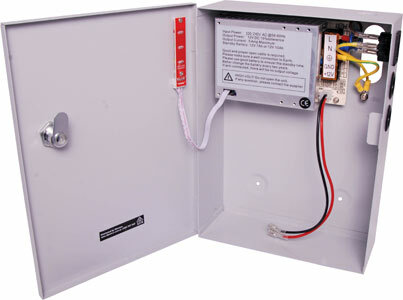 Above is an example battery backed supply intended to house a 7Ah gel cell, and featuring a charger and low voltage protection of the battery. 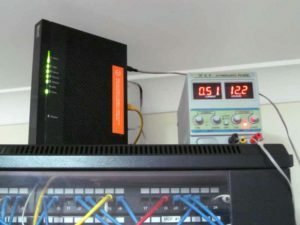 Though the modem has firmware defects, reports of which have gone unanswered by iiNet, a decision was made to proceed to the battery backup implementation. Above, the backup unit with battery fits conveniently in the back section of the network box. A test was conducted by allowing the battery to fully charge (flashing yellow LED off), and removing mains power. The unit lasted 10 hours, and was still working when power was reapplied. This first discharge cycle on a new battery is probably a little less than the capacity developed after a few cycles so it has satisfied by perceived need. Total cost was about $170. The battery backup means that in the absence of premises power, the VDSL gateway, its WiFi and ATA continue to operate for 10h or more. POTS phones plugged in will work if they do not have a dependence on mains power (one at least is in that category). Battery powered tablets, smartphones and laptop computers can still access the ‘house’ broadband.